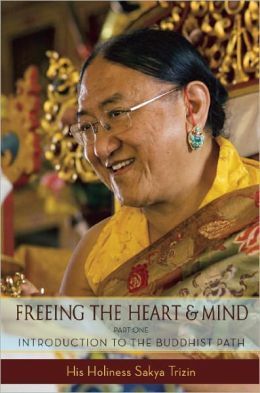 Lama Kunga Thartse Rinpoche will kindly bestow the empowerment of goddess Tashi Tseringma at Ewam Choden on Sunday, May 26 at 1:00 p.m.
Tashi Tseringma and the four other mountain goddesses with her are known as The Five Sisters of Long Life. Tamed by Padmasabhava and others, they vowed to Milarepa to protect the Dharma and Dharma practitioner. 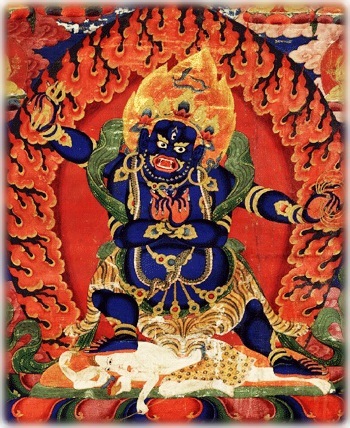 You may receive their blessings and protection through this unusual empowerment that also has a connection with Vajrayogini. Please arrive early in order to register, and as usual, be considerate of our neighbors when parking. This event is open to anyone. The requested donation is $30. Dana (offering) to the Lama and to the monastics (our assisting nun and monk) is separate. COMPLETED—EVENTS WITH HIS HOLINESS SAKYA TRIZIN on MAY 4th and 5th, 2013 THIS WEEKEND! HIS HOLINESS SAKYA TRIZIN will kindly and generously visit Ewam Choden and give teachings on May 4 & 5. On Saturday morning, May 4th, His Holiness will bestow the empowerment of Vajrapani Bhutadamara. The Arlington Community Church in Kensington, CA at 10:30 a.m. The requested donation is $30.00. 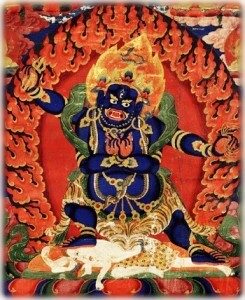 Dana (offering) to the Lama is separate. Please arrive early to register. On Saturday evening, May 4th, at 7:00 p.m., His Holiness will give a public talk on the subject, “Freeing the Heart and Mind: Introduction to the Buddhist Path“. The admission is $20.00, $10.00 seniors and students. This will also take place at The Arlington Community Church in Kensington, CA. LOCATION of both (above) events — The Arlington Community Church is at 52 Arlington Ave. in Kensington. Wheelchair accessible with convenient parking nearby (in the area and across the street). On Sunday, May 5th, His Holiness will meet the Tibetan community. He will bestow a Long-Life Empowerment and give a talk in Tibetan. The organizer is the SF Bay area Tibetan Sakya group (presented by Bay Area Tsechen Ling). The time is 2 p.m. to 3 p.m. and the doors open at noon. His Holiness Sakya Trizin is the 41st throne holder of the Sakya Order of Tibetan Buddhism, and has been the supreme head of its many disciples for over fifty years. 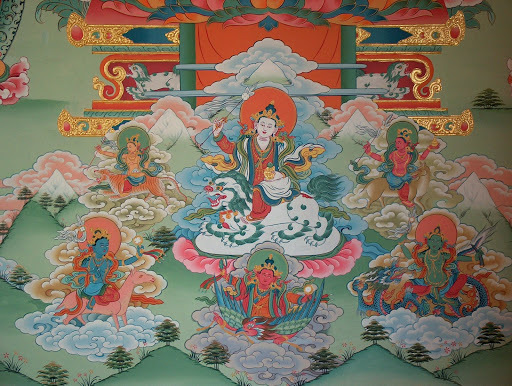 He is a descendent of the great masters who founded the order in 1073 and is considered to be an emanation of Manjushri, the Bodhisattva of transcendental wisdom. 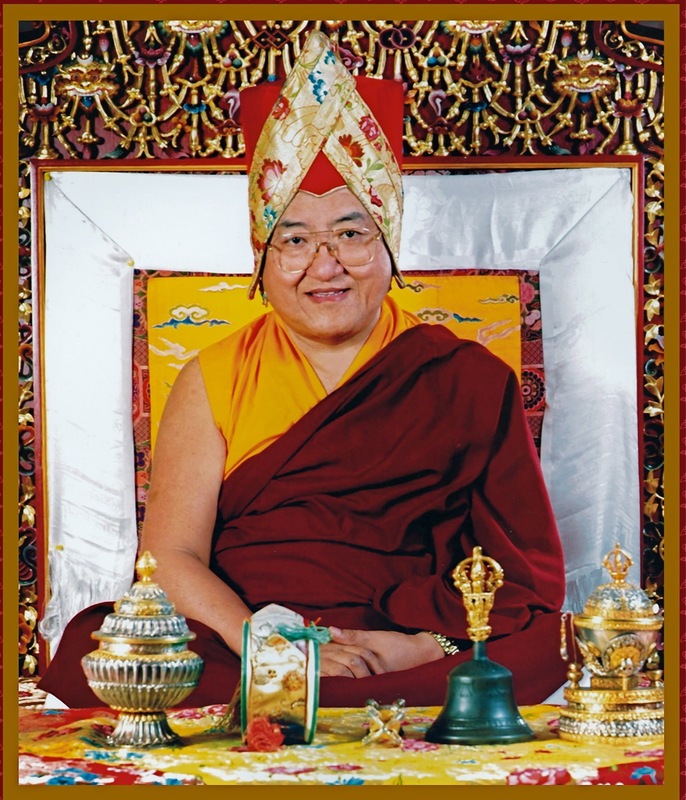 He has been praised by His Holiness the Dalai Lama as ‘King of Vajrayana practitioners,’ and is renowned throughout the world for the brilliance and clarity of his teachings and his fluency and precise command of English. Receiving teachings directly from His Holiness carries a special lineage of blessings from the founders of the Sakya Order, as well as from Manjushri himself.